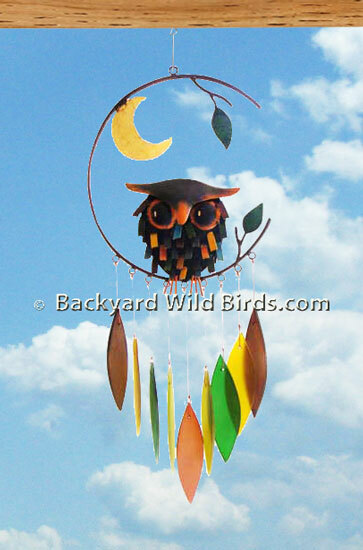 Spiky Owl Wind Chime with moon is a very artistic and beautiful design. 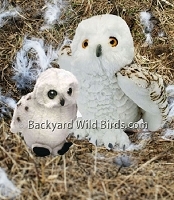 Handcrafted in Bali of powder coated metal with sandblasted glass chimes which make a gentle sound when the wind blows. 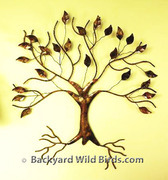 A great addition to garden or entryway. Makes a great gift. Add colorful light and sound to your backyard!